As part of the next instalment in my international version of Guests’ Corner (previously a local South African travel interview section on Tamlyn Amber Wanderlust), I chatted to Samah Khan, travel blogger, freelance writer and photographer at God & Wanderlust. Samah Khan is a passionate photographer and writer. 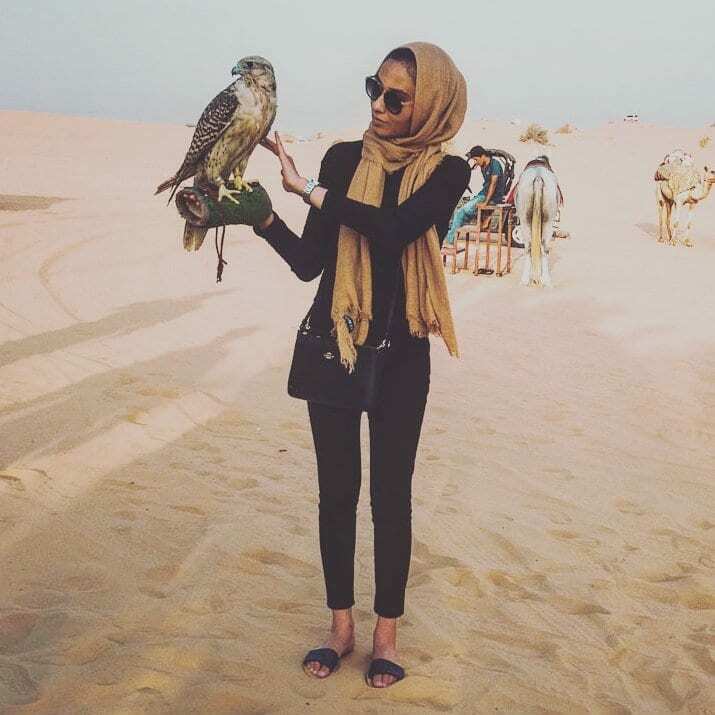 She loves travelling the world solo and living life unscripted, indulging in experiences as a Muslim woman. Samah’s travel journey was properly kick-started when she spent a month in the United Arab Emirates, interacting with locals and following a new way of life. Soon, she was hooked and the rest is travel history! Because she also focuses on both God and politics, so you can expect a blend of faith, photography, travel and politics to be intricately woven into her wonderful site, God & Wanderlust. When she’s not writing or travelling, one can frequently find Samah photographing mountains, waterfalls and architecture, or drinking her daily dose of tea in some local cafe, camera in hand. Whether you wish to follow her blog for a taste of adventure, to appreciate her beautiful photos or simply to hear her occasional political views, be sure to keep up with Samah and share in her writing and photography! 1) Who or what inspired you to go into travel blogging? I was always a writer. Friends and family would encourage me to start a blog – I just didn’t know for what. Fast-track to just last winter when I booked a summer long trip to the United Arab Emirates (UAE). My 9-5 job contract was also ending that summer, so I thought I would travel for a bit before going back to full-time cubicle work. Living in the UAE was eye-opening; I was born and raised in Toronto, Canada and it’s pretty much where I stayed my entire life – I mean, the first time I flew in an airplane was just in 2011! Living in the UAE made me realise the bubble I lived in… That’s when I decided that I would blog about travels. Being immersed in such a different way of life was exhilarating. After I returned from the UAE, I decided to explore more of western Canada and visit New York City. I’m hoping for more adventures in 2018… The cubicle can wait! 2) What kind of traveller are you: thrill seeker, culture vulture, adrenaline junkie, nature lover or something of everything? I’m a solo traveller and that is quite the thrill. However, I am also a photographer, who goes for both landscape and street photos, so I’m always excited to explore new cities and hiking trails. I love meeting fellow hikers wherever I go. I would say I used to be an adrenaline junkie, but, ever since I broke my leg a couple months back on a solo trip, I play it safer now… I never want to go through something like that again. For instance, skydiving no longer interests me. 3) Which are your top three most memorable travel experiences and why? Please list each one with a brief explanation. 1. Canoeing in Lake Louise during the sunrise in August: I’ve been seeing photos of Banff and Lake Louise since I was a child and I’m sad it took me so long to visit. There’s a reason it’s Canada’s most popular lake – the turquoise, glacier-fed water is stunning. And canoeing in it in the early hours of the morning? It couldn’t be more magical! 2. Attempting minimalist travel when I visited the UAE: I brought only a carry-on with me, with all the clothes I could fit in it and my backpack just had my camera gear. I was feeling unsure about this for two reasons. 1) Was I really going to survive the summertime desert heat with a minimal set of clothing? And 2) Dubai is glitzy… It’s where countless fashion bloggers and beauty gurus live and there I was with no makeup and my plain tops. But I’m always up for a challenge and I went ahead with it. If I could do minimalist travel here, it would probably make it easier for my other travel destinations… I ended up thrilled with my decision! Because of it, I bought less things, since I’d have nowhere to put them, and didn’t have to worry about packing a suitcase when I was leaving. 3. Breaking my leg while hiking on my first solo trip in Vancouver. I don’t think I’ll ever forget this, especially since I have a long surgery scar on my knee. I spent the last four days of my trip in a Vancouver hospital, eating hospital food and waiting to have my surgery. 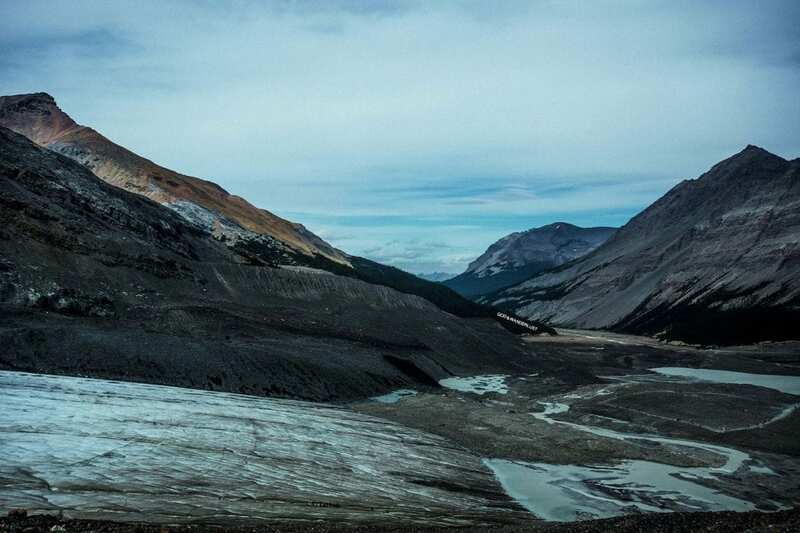 Hiking the Plain of Six Glaciers Trail in Banff, Alberta: I set out on that trail, not knowing how long or how steeply inclined it was, but, a quarter way in, I almost wanted to give up and turn back. Thank goodness I didn’t. The glacier views were breathtaking and you could even see Lake Louise from the back! The goal of the hike was to get to the teahouse located at the top, which I finally did three hours later… Completing that hike felt like an accomplishment and really got me into doing longer hikes. I hope to do the Garibaldi Lake hike when I return to British Columbia. 5) Worst local travel experience (and if you are comfortable enough to, please explain why)? I can’t recall anything negative in Toronto (where I reside). 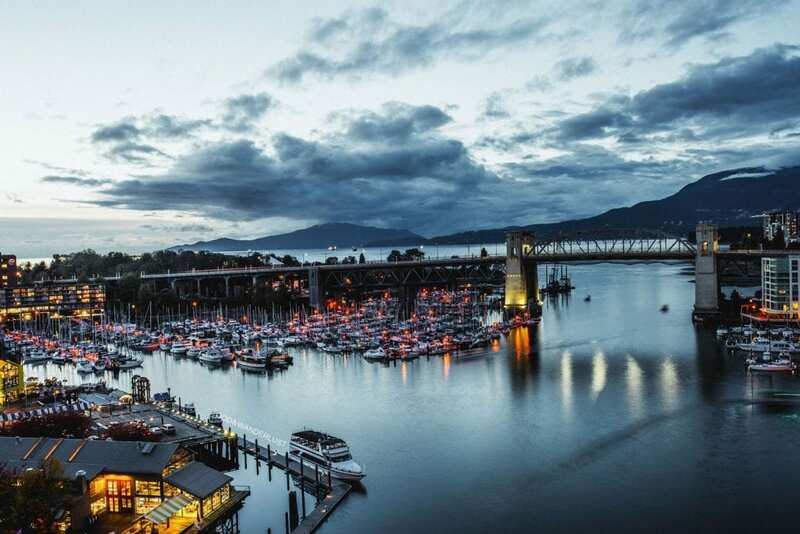 However, when I went I landed at Vancouver Airport, I made my way to the car rental place, where I had a reservation. The rental company stated they didn’t have my reservation on file and that I had made reservations with another company. I was shocked. Even when I showed them my reservation email, they kept insisting it was with another company. I had landed at 11:30pm and, by the time everything was sorted out, it was close to 1:30am. Thank goodness my Airbnb was only five minutes from the airport! I also felt bad for my Airbnb host, who had to stay awake until then. 6) Your top three travel destinations across the globe – either that you have personally experienced or would love to visit? 7) Any useful travel sites/blogs that you can recommend for following? Beautiful Destinations is my go-to travel website. They collect the most stunning videos and photos, and I’ve discovered many new places through them. 8) If you could travel anywhere in the world right now, where would it be and why? (Seeing as it’s cold and snowy here in Canada) I would go for French Polynesia, since I’ve always wanted to go there. I’m a budget traveler, but I’m think I want to splurge on my next trip. And from what I’ve seen, French Polynesia has the most beautiful beaches and crystal clear waters. If you’re planning a day trip in Toronto, dress according to the weather. I recommend visiting in the spring, summer or fall. (This winter is colder and snowier than usual, and people are advised to spend minimal time outside.) Toronto is also quite expensive (blame our tax rate), but there are plenty of cheap places to grab food and stay (I would suggest Airbnbs). Avoid Jarvis Street. What I love about Toronto is the fusion of many cultures, which you won’t find anywhere else in Ontario. We have restaurants that serve foods from all over the world, as well as quirky dessert places. There is always something happening at Dundas Square – but if not, you can photograph Graffiti Alley, shop on Queen Street West, explore the historic distillery, eat at Kensington Market or do in escape room adventure at Casa Loma. There’s a lot to do, and you can buy a metro pass to get around by subway. Our subway system is extremely simple. Torontonians are easy going people and people from all corners of the world reside here, so I doubt any visitors will stand out as tourists. Our laws are quite lax. You’ll probably want to visit the CN Tower once you’re here – I really recommend doing the Edge Walk! To read about and see all of all Samah’s travel stories and experiences, you can visit her awesome blog. Or follow her on Facebook, Twitter or Instagram. Thank you very much, Samah, for appearing in this international guest travel segment. Until the next one… happy writing and reading, everyone!